Description This Warner Robins, Georgia hotel has an outdoor pool, free internet access and non-smoking guest rooms. This hotel is also pet friendly. With a complimentary breakfast an outdoor pool and rooms with microwaves refrigerators and free Wi-Fi the Comfort Inn and Suites at Robins Air Force Base offers good value in a convenient location. The two-story Comfort Inn and Suites at Robins Air Force Base offers 77 rooms furnished with microwaves mini-fridges coffeemakers and cable TV with your favorite channels. Stay connected in the comfort of your room with free Wi-Fi. The complimentary breakfast includes waffles eggs meat yogurt fresh fruit cereal and more. Soak in the Georgia sunshine at the seasonal outdoor pool or get some exercise in the fitness center. The on-site business center helps road warriors stay productive. Local calls are free. Pooches are permitted at this property. Non-smoking rooms are available and parking is free. 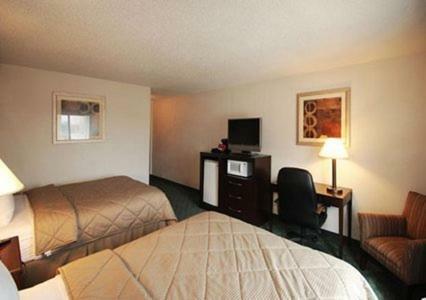 The Comfort Inn and Suites at Robins Air Force Base is situated off Highway 247 four miles from Robins Air Force Base. Earn your wings at the high-flying Museum of Aviation minutes away. Satisfy your hunger at one of the restaurants within a half mile or drive five miles and sample the cuisine of downtown Warner Robins. The hotel is nine miles from Middle Georgia Regional Airport. 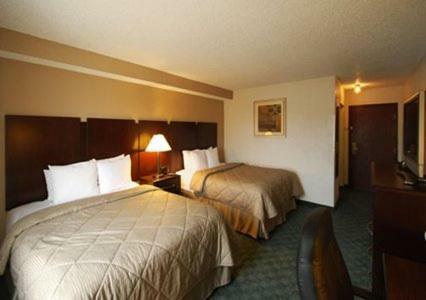 Add Comfort Inn And Suites At Robins Air Force Base to your free online travel itinerary.